Le Corrector Pro in "550 Deep Suede OS" ... My fellow Dark Skin girls you can rejoice, Lancome has got us covered !!! Finding the right concealer can be very tricky. Also finding the right product to set it is a whole other task in itself. 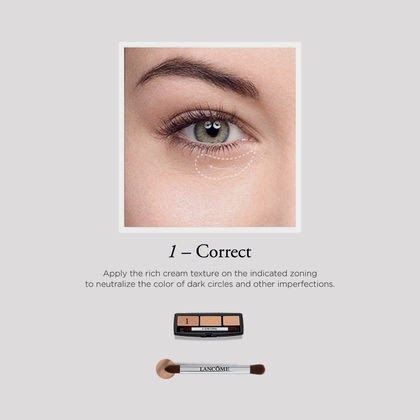 Luckily for some who are not that advanced in pairing products or even the whole application process Lancome has come to the rescue with the new Le Corrector Pro ( $38) . This concealer comes in 8 different shades ranging from Fair to Deep (see below) , which makes me very pleased because its really hard to find products that cater to a broad range ( especially when you are in the darker skin tone range). Although this set is not intended for this , they can totally be used to "Contour" in order to do that you have to make sure to buy a set darker than your exact shade. You can achieve a natural realistic contour . Another added bonus is that this set and includes a "tutorial" guide to help you achieve a flawless concealer application every time with the three components "Correct" "Even" and "Set". Check out the easy, 3 step process to hiding and brightening those eyes ! 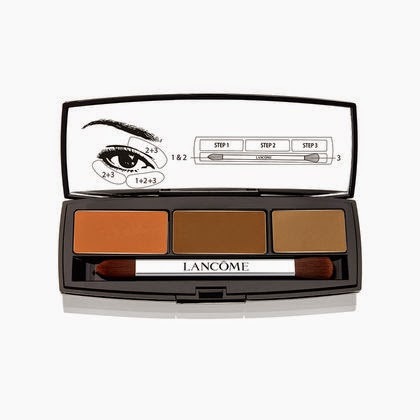 Lancome Le Corrector Pro is available Online and exclusive at Bloomingdales and Nordstrom.